They say it takes a village to raise a child. The same thing can be said about athletes. With the 2014 Winter Olympics in Sochi, Russia recently coming to a close, one can reflect on their favourite sporting event and consider the effort that these athletes have poured into what may be their life’s work. Their dedication towards their sport has helped define who they are. Before athletes are told to aim for that one “big moment,” there is the process of training, overcoming metaphorical and literal hurdles, as well as the tutelage of coaches. These are the elements that create strong competitors. Adrianne Dunnett-Yeates, who represented Canada in the 1984 Olympics in Los Angeles for rhythmic gymnastics, sees her former athletic career as a series of obstacles that she had to overcome. She was 14 when she was referred to a coach who trained Dunnett-Yeates for rhythmic gymnastics. For seven years, she was on the Canadian national team in group competition. Dunnett-Yeates decided in 1981 that she was going to train as an individual for the Olympics. Two days before the National Championships in October of 1983, where it would be determined who would represent Canada in the Olympics, Dunnett-Yeates broke her foot. Determined even in injury, she showed up. “I just decided to show up and I went to the National Championships with my foot in the cast, and my coach had our trainer at our gymnasium who made a training plan for me and they sent all of my athletic information to the Olympic committee and said that I was the best choice, even though I had this injury,” Dunnett-Yeates recalled. Dunnett-Yeates trained in British Columbia for a month before the Olympics. When she competed in 1984 in Los Angeles for the women’s individual in rhythmic gymnastics, Dunnett-Yeates was ultimately ranked in seventeenth place while fellow Canadian gymnast, Lori Fung, received the gold. Thirty years later, Dunnett-Yeates’ athletic career has been defined by the moments leading up to the Olympics, not just the event itself. “I look back on my process, my days in the gym and my teammates and my coach, who had such a big impact on my life and who I am now, so when I think back on my career, it’s less about that Olympic moment,” Dunnett-Yeates said. As it was for Dunnett-Yeates, making the first step toward an athletic career begins with finding the sport you are most passionate about. When Ryan Bailey began speed skating during high school, he knew it would be a sport that would take him places. Though he was involved in other sports, Bailey had an undeniable talent for speed skating and decided it was the sport he would dedicate himself to. At the age of 16, Bailey moved out to Calgary and rented a basement apartment with financial support from his parents. Bailey trained for three years, with the highlight of his speed skating career occurring when he came second in a Junior World Cup event. He also competed at the Canada Winter Games for Team Ontario. When it comes to training, an athlete is either all in or all out. There is seldom ever room to settle in-between. Wilfrid Laurier University, explained that the strenuous training process leaves little room for anything else. 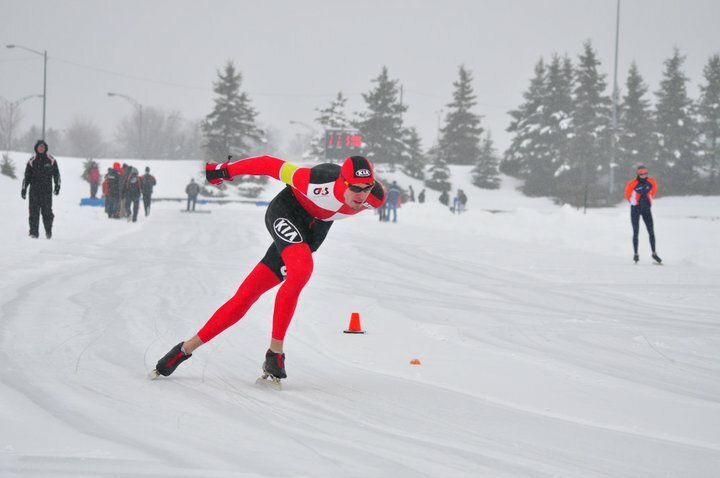 Bailey, who trained four to five hours as a speed skater, found that his love of the sport took precedence over other aspects of his life, including school, finding a job and spending time with friends and family. Bailey believes that between school, work and sports, the most an athlete should do is two. “If you want to make it in a sport it requires a lot of dedication and motivation, you have to want to do it,” he said. When she was in high school, Dunnett-Yeates recalled the days when her mother would drive her to practice and she would train for three hours every night and she would then come home eat dinner and then do her homework. Despite this, Dunnett-Yeates does not feel that she made any sacrifices. While support of an athlete’s family and friends are indeed essential, establishing a healthy and strong relationship with their coaches are a main priority for athletes in training. The coach can be viewed as the engine in the gym, as they help to create the dynamic and the energy and they help to create the general attitude of the training space. Making sure that this relationship is functional has a direct impact on the athlete. Dawson explained that for such a relationship to work, trust must be earned on both sides, as the coach and athlete will be spending all of their time together. “You need to have a trusting relationship with that individual because you’re going to spend more time with that individual than you’ll spend with anybody else in your life at this juncture so it’s a give or take relationship,” Dawson said. “You have to be able to trust your coach and follow the workout schedule that they give you and don’t really argue back with your coach,” Bailey added. When Dunnett-Yeates was preparing for the Olympics in 1984, coaches were not worried about nurturing the self-esteem of their athletes. Dunnett-Yeates recalled her coach throwing cassette tapes at her, yelling and calling her names. She thrived off this. Sometimes no matter how hard an athlete trains and prepares, they may not be able to reach their athletic goals. However, an athlete is not defined by their failure. They are defined by how well they rise after they fall. Dawson explained that athletes are prepared to accept the risk that they may not achieve their goal in their sport and to look for ways that they can mentally prepare to have a comeback. She believes that the range of emotions athletes feel when they do not accomplish their goals can be utilized positively for future endeavours. In his last year in Calgary, Bailey tried to make the Junior National Team and he missed making the team by one spot. Having previously tried making the team the year before, Bailey felt he was not improving as fast as he would have liked and decided to move back to Ontario and switch sports. The decision, though, was one that Bailey grappled with for a long time. “It took me a while to make a decision, and it wasn’t an easy one. Speed skating gave me a lot of knowledge and experience of just sports in general,” he said. Dunnett-Yeates chose to focus on the process that brought her to the Olympics rather than focus on her result. However, that is not to say that she did not come to the Olympics mentally prepared. “Although I placed 17th, some people would say that was not a great standing but for me that was a great finish. I made the top 20 at the Olympic Finals and personally, I performed well so I came away with a really good feeling,” Dunnett-Yeates explained. After a major sporting event has come to an end, athletes will either continue to compete and train in their sports or explore other sports, retire or move on to coach Olympic hopefuls. After moving back home and seeing a poster endorsing rowing, Bailey knew that this sport would suit him better, due to his tall height and lengthy limbs. 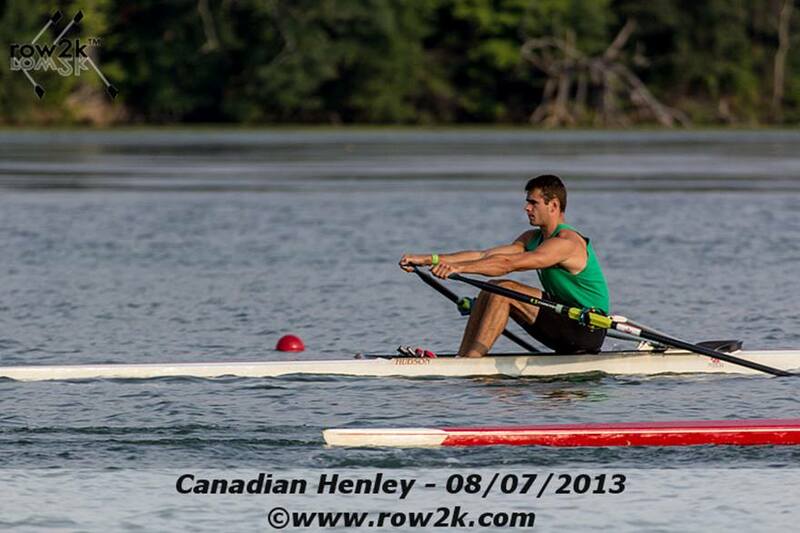 Though they are two different sports, Bailey has been able to apply his work ethic towards his rowing. Bailey is currently attending Fleming College for firefighting. 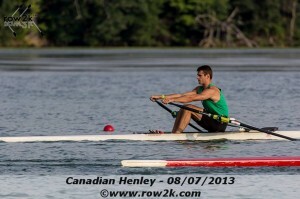 He is hoping to make the U23 national rowing team and the Olympics one day for the same sport. Feeling like she had done what she wanted to do in her sport, Dunnett-Yeates retired after her experience in the Olympics. The transition was one that she struggled with at the beginning. “I’m glad I retired when I did, but it is tough to face retirement too,” Dunnett-Yeates shared. After she retired once the Olympics wrapped up, Dunnett-Yeates went on to coach young athletes at Sports Seneca, an elite training center. She also did commentary for CBC Sports and TSN. Dunnett-Yeates is now married with two grown children. She uses the lessons she’s learned from her athletic career to inspire her children to dream big.